In the years following Chiang Kai-shek’s Nationalist regime’s loss to the Chinese Communists in 1949, when U.S. 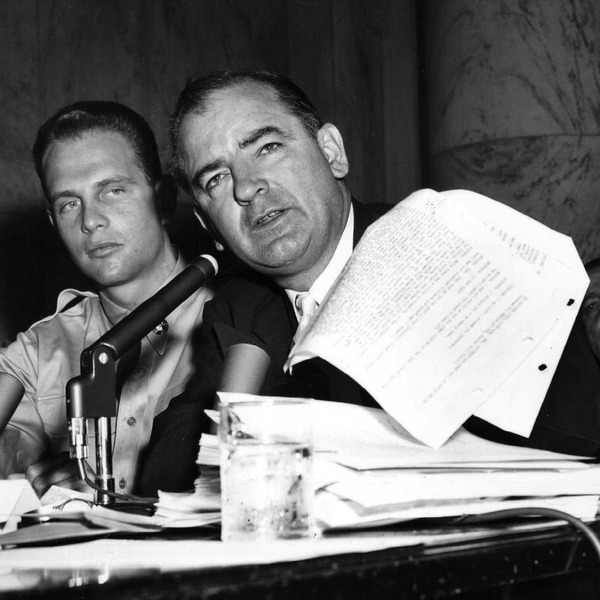 Senator Joseph McCarthy let loose his ill-founded accusations of communist infiltration in the United States, the country, eager to blame somebody, was wracked with questions about, “Who lost China”? In the 1950’s, U.S. Senate committees studied what was seen as the failure of American foreign policy to prevent the Chinese Communist takeover. McCarthyism is remembered today as a broad attack on presumed communists and sympathizers in the U.S., but it was also a targeted attack on the State Department’s experts on China, the so-called China Hands, who had told the truth as they saw it. A broad swath of these experts were either forced out the Foreign Service or had their careers completely derailed. Sgt. 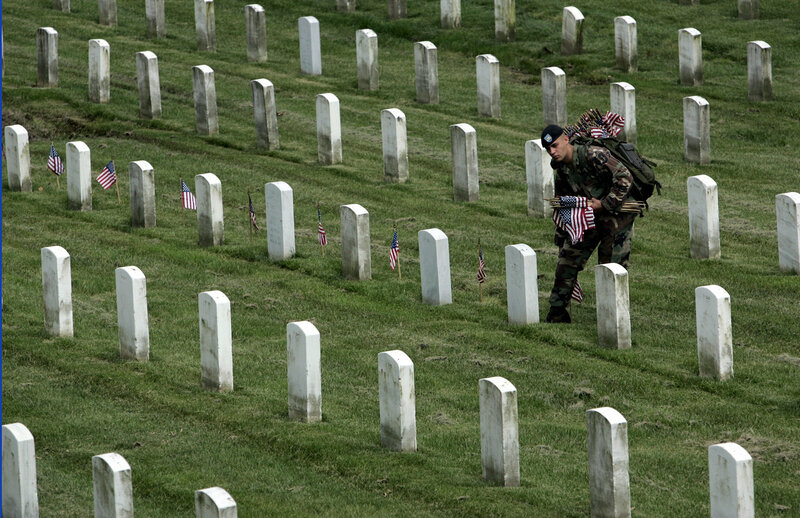 Timothy Davis of San Diego places American flags before the gravestones of those buried at Arlington Cemetery. Potential targets are legion, which may well lead to a convulsive period in American domestic and foreign policy. The blame game is, in fact, already underway. On June 12, Fareed Zakaria wrote a column in the Washington Post titled, “Who lost Iraq? The Iraqis did, with an assist from George W. Bush”. The Iraqi government is “corrupt, inefficient and weak, unable to be inclusive (of the Sunnis) and unwilling to fight with the dedication of their opponents,” just like the Chinese nationalists were, Zakaria said. So Prime Minister Nouri al-Maliki is the one who lost Iraq. But he came to power as a result of “a series of momentous decisions made by the Bush administration,” Zakaria said, so Bush lost Iraq. Wasn’t it the Obama Administration that made a precipitous withdrawal of U.S. troops from Iraq, encouraging adversaries and leaving the country’s elected government weaker in the face of continuing threats? Or maybe it was the Obama Administration’s feckless foreign policy in dealing with Syria, with Obama insisting in 2012 that the use of chemical weapons by Syrian President Bashar Assad would cross a “red line for us” and might trigger a U.S. military response, followed by Obama’s failure to follow through. 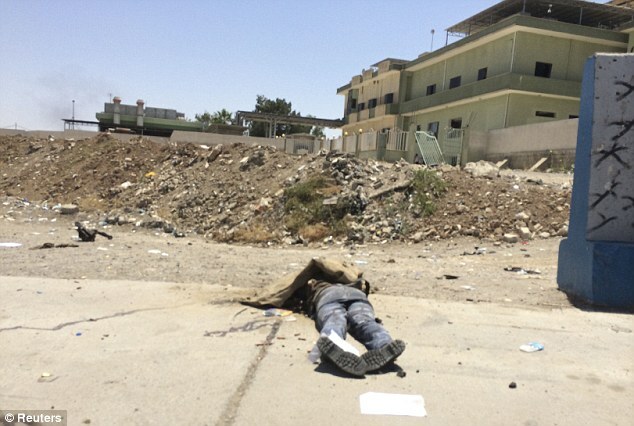 Perhaps that emboldened not only Assad, but also ISIS, which is already perilously close to Baghdad. The city of Mosul in Iraq, which ISIS soldiers have taken over. Regardless of who made the decisions that have led to the current mess, hold on, because the atmosphere is going to get turbulent and all of America is going to feel it. This entry was tagged Bashar Assad, Biden, Bin Xu, Chiang Kai-shek, China, China Hands, Fareed Zakaria, Gary Alan Fine, George Bush, Honest Brokers, Iraq, ISIS, Islamic State of Iraq and al-Sham, McCarthy, Mosul, Nouri al-Maliki, Obama, Red line, Seymour Hersh, State Department, Syria. Bookmark the permalink.